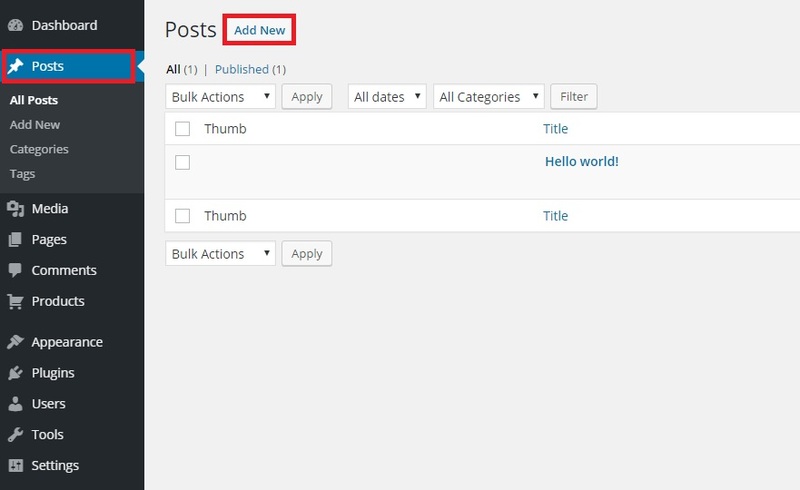 To add a post to your blog, click Posts. Then click Add New. Give your post a name and enter the content of the article. Optionally, you can add Featured Image to your post. 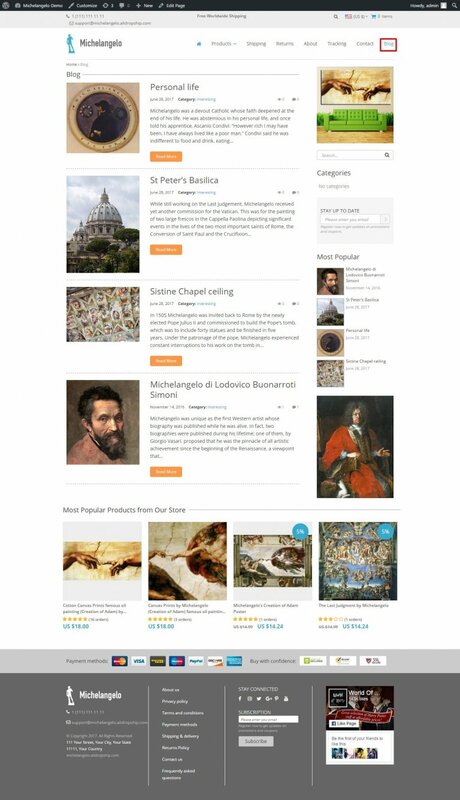 When all is ready, choose Uncategorized (you can rename it) in Categories, then click Publish. 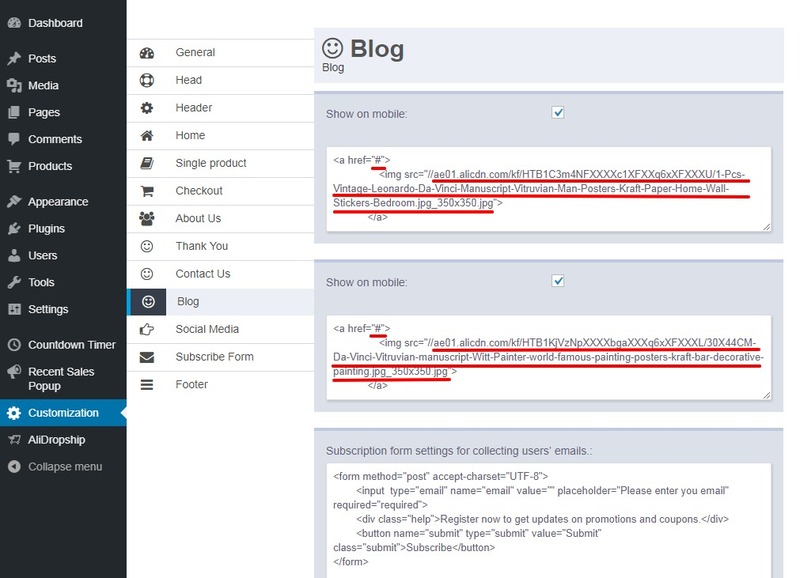 Now you can customize your Blog (Customization -> Blog). Tick on boxes ‘Show on mobile’ if you want posters are visible on mobile version. 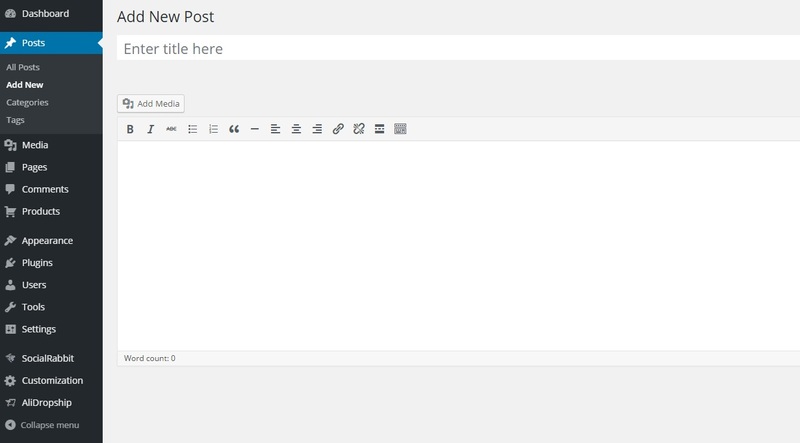 You can insert your image poster into the blog. You may link your poster with a certain product your customer will be redirected to. 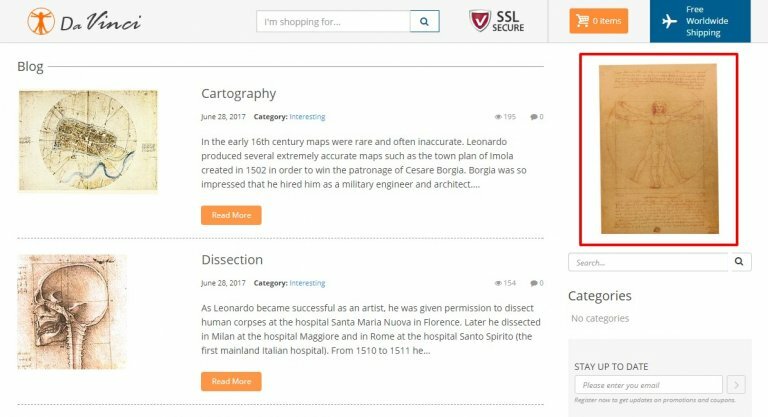 To do this, replace symbol ‘#’ in <a href=”#” with a product link. In <img src=””> paste a URL address of an image that you want to use as a poster.